Norstar voicemail systems open up a world of benefits for your Nortel Norstar ICS phone system. We have a new Norstar Messaging 100 (NTAB9866) (formerly Norstar CallPilot 100) or Norstar Messaging 150 (NTAB9824) (formerly Norstar CallPilot 150) voice mail system to suite your requirements. 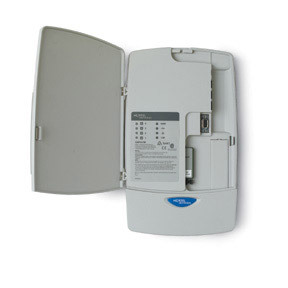 We also offer the Norstar StarTalk Flash voice mail system at wholesale prices. Telephone Magic Inc. is a leading wholesale supplier of Norstar CallPilot/Messaging , StarTalk Flash, and VoiceGate voice mail systems for your Nortel Norstar ICS phone system. Why pay more when you can add voicemail to your existing Norstar phone system at a fraction of the cost? While CallPilot/Messaging is the latest Nortel Norstar voice mail product, older Norstar systems may require the StarTalk Flash Nortel platform. The Norstar CallPilot/Messaging 100 (NTAB9866) and 150 (NTAB9824) delivers scalable advanced messaging to growing small and mid-sized businesses. Business sites with 10-200 users receive Voice Mail, with advanced applications and Basic Call Center. Messaging is supported on the Norstar Compact CICS and Modular MICS Integrated Communications System 4.1 or higher, as well as all Meridian Norstar telephones and Business Series Terminals. NOTE: CallPilot/Messaging does NOT work on original Norstar 616 and 824 phone system cabinets or on CICS and MICS software below version 4.1. For those systems, see Startalk Flash. *Note: As of May 1, 2005, Nortel Networks re-branded the CallPilot line of voicemail systems. The CallPilot 100 is now known as the "Messaging 100" and the CallPilot 150 is the "Messaging 150". Due to the lack of knowledge of this re-branding, we will continue to refer to these systems as "CallPilot" until the Nortel re-brand is more widely accepted. Uses AMIS and VPIM to increase network efficiencies between CallPilot 150s and other voice networking systems. Embedded applications are activated with a simple key code. Shares common administration interface with Business Communications Manager. For multi-site businesses, shares a common user interface with Business Communications Manager and Meridian CallPilot. Initial costs are reduced by allowing you to pay for additional mailboxes and applications as you grow. Advanced features help you compete by enhancing employee productivity and improving customer satisfaction. Risk-free application trials allow you to try and buy only the applications you've tested and approved. Embedded applications enable you to easily add mailboxes and applications as your needs expand. Globally, Norstar is the number one voice solution for small and medium businesses.